I’m about a month late in pointing this out, but I just stumbled across the website of Kate Leth, and this is one of the prints she has available for sale (link no longer available). So cute! 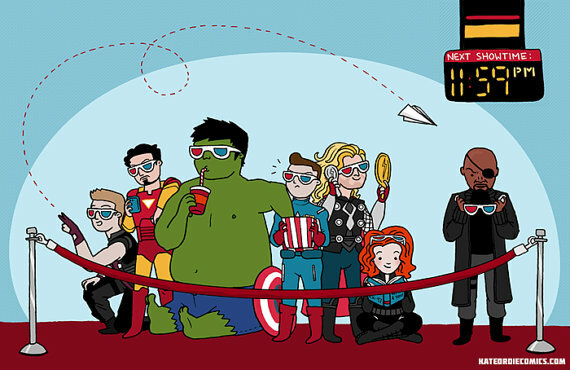 Poor Nick Fury, and the glasses. Adorable Hulk and his little legs sticking out!